I am excited to announce a great giveaway sponsored by the Baker Publishing Group. One lucky winner will be chosen to receive a copy of My Favorite Bible by Rondi DeBoer and Christine Tangval. Just leave a comment below before December 3 and you will be entered. International participants are welcome to enter. Have fun! Addendum: This is not a children’s Bible. 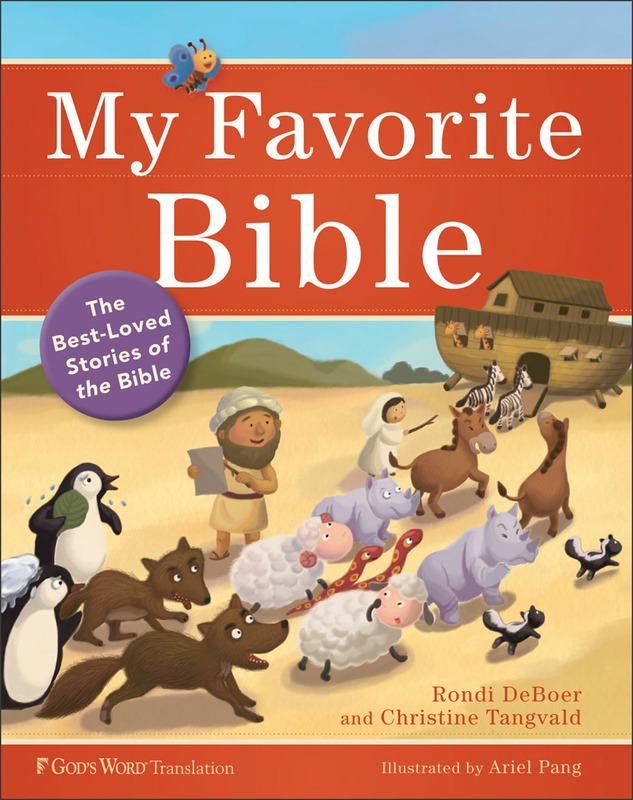 It is a Bible story book that includes key verses and parent pages called “Family Talk” and “Family Fun” to assist adults in discussing the stories with children. You may view the inside of the book on Amazon.com. (I don't think my first comment when through so please excuse this if it did) I would love to enter and I am also enjoying checking out your blog. I found it through the link you put on Above Rubies. Please enter me, I would love to win this Bible. I would love to win this, please enter me! My three girls would love this!! This looks like a neat book for little ones! I have a 4 year old who would enjoy it and a baby who would get to use it after him! Hi! Really enjoyed checking out your webpage. I actually came the other day but got sidetracked looking at your "might also like"'s, LOL.